On May 15, 2015 Strom submitted an application to DOE for processing fracked gas and exporting the resulting natural gas after transporting from facilities just 2.8 miles from the faulty Nuke Plant in Citrus County. The application also includes the ability to transport this processed natural gas for export via ‘bomb’ trains or trucks 90 miles to Port of Tampa for exporting to non-FTA countries. 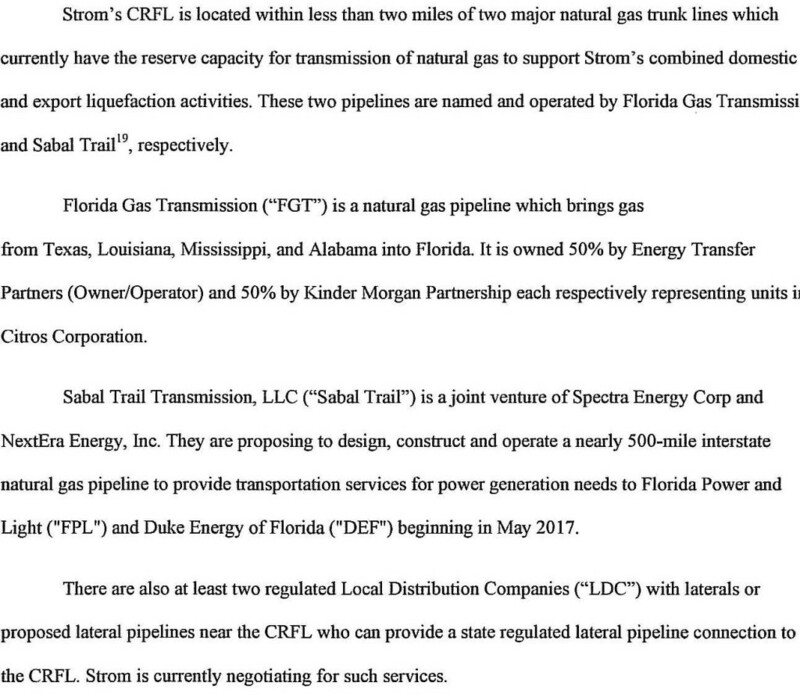 Guess who the pipeline company is — FGS and Sabal Trail with emphasis on ST.